Exploding with colors and an enchanting, free-flowing energy, the film follows a girl known simply as The Girl with Black Hair, as she experiences one crazy night of love, adventure, romance, and cocktails in Kyoto. There's so much going on in every frame that you want to rewind the trailer multiple times just to catch it all. Combining elements of teen and screwball comedy with the dreamlike qualities we've come to expect from Japanese anime, this is shaping up to be one of the year's must-see animated films. 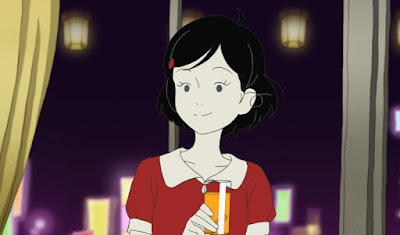 The Night is Short, Walk On Girl opens August 22nd.